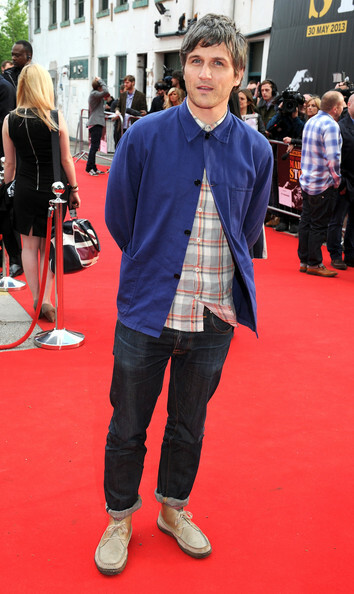 Actor Will Ash attends the UK film premiere of The Stone Roses: Made Of Stone at Victoria Warehouse on May 30, 2013 in Manchester, England. Will Ash rolled up a pair of classic jeans for a cool and hip look on the red carpet. Will Ash chose a purple fitted jacket for his red carpet look.